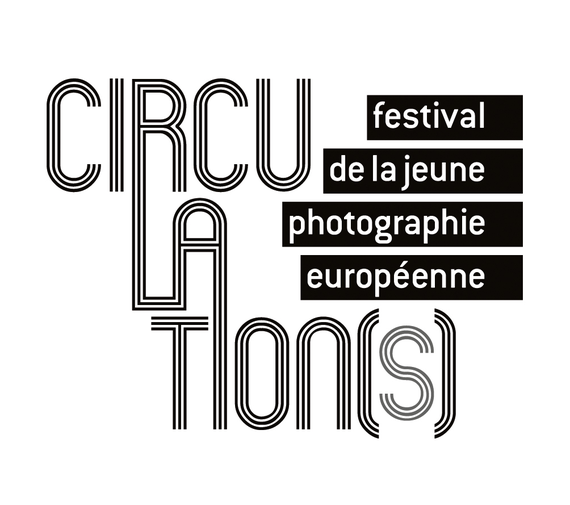 We discovered the work of Alexandra Lethbridge at the excellent Circulation(s) Festival—a Paris-based showcase of emerging photographic talents from across Europe. LC: Your series “The Meteorite Hunter” has been a big success, but looking back at your older bodies of work, it seems that the seeds of the ideas you are wrestling with were planted several projects ago. So, beginning with “Ley Lines”—what compelled you to try and photograph something invisible? AL: You’re absolutely right: “Ley Lines” was the first time that I began exploring the subject of the invisible. Back then, I wasn’t completely sure what my idea was yet, yet in retrospective, it seems clear—I am always trying to photograph something you can’t see. In “Ley Lines,” I was driven to this challenge by the fact that while living in New York, I was completely numbed by the city. Even though it’s supposed to be a fantastic place to shoot photographs, I couldn’t make any images. Perhaps it’s because I sometimes feel that photography can be a bit too obvious—you go somewhere, you take a picture, you look at it, there it is. Personally, I’m more interested when I can do something to what I’m seeing; when I can have some input or insight into the idea in front of me. Whenever I’m frustrated by what’s around me, I go to an imaginary place of creation in my mind, rather than out into the world. LC: What’s this imaginary place? AL: It’s a place to explore the idea of picturing that which we definitely can’t see. A good metaphor for it is space [outer space, that is]: space is a place that is not made up but there is only a tiny number of people who will ever visit it. That means everything we know about space is presented to us in the form of images. Space is given to us and we presume it to be factual but we don’t really know for ourselves. For me, space is a real place, but it might as well be imaginary—I have no certain idea of what it looks like. Using a camera, I am able make anything look like it came from space, even if it didn’t. Or maybe it did. In my projects, there’s always some grounding in fact that makes them believable, even if you’re not sure which parts to believe and how to separate reality from imaginary. If I could re-do all my old projects, I would start here. But that’s not a good way to think about it: this series was integral in leading me to “The Meteorite Hunter,” which means it worked as a vital stepping stone. The satisfaction comes from knowing that I had an idea for a really long time and by making (less successful) projects, I finally figured out how to express these thoughts in a way that felt right. LC: But how do you use the camera—that should produce a frame of what’s in front of it—to express the imaginary? AL: I’m driven by the project of making reality seem unfamiliar. To achieve this, I have to find a way to show something that isn’t quite in front of you but still feels real. Another way to think about it is through perspectives. 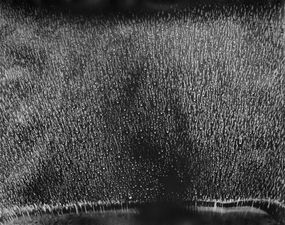 In “The Meteorite Hunter,” I present materials, in addition to the photographs, that encourage the viewer to dig a little deeper, to take a second look and reconsider what’s in front of them. I also love the idea of archives: I begin with a collection of imagery and present it so that people assume everything should be taken in equal measure. When we view an archive, it is easy to presume that if one picture is factual, all the rest must be factual as well. I’m not trying to fool people but rather play with their presumption that everything is it appears. Once people start to doubt their assumptions—that’s when I’ve managed to move my audience to question their preconceptions. When viewers ask me for the “truth,” I have no issue explaining exactly what I’ve done. It’s not a secret. I just don’t want them to know right away. I hope to drive people to take a deeper look. LC: What are you looking for though, when you’re out shooting? When there’s a rock, sitting there, how do you know it’s the perfect rock to transform into something else? AL: Oddly, it’s almost the same process that a more traditional photographer goes through when editing their work. That sense you have when looking through the frames you made and, even when there are 10 frames made just a few seconds apart, there is just one shot that feels right. Even when I use found imagery, the dynamic is the same. In one, I’m holding the camera and searching for the right frame out in the world; with an archive, I’m looking for the right image amidst many others which have already been made. AL: You could even go so far as to call me a hoarder! But yes, there’s a certain amount of “objectness” which is really important to me. For example, some of the rocks in my project I found in a parking lot, completely by chance. What made them stand out is that they were spray-painted. Being a hunter is exactly that: searching the world for anything that can speak to your project. It’s a constant, active process and visible throughout my whole life. Editors’ Note: “The Meteorite Hunter” has been published as a series of hand-made photobooks and is available for sale on Lethbridge’s website. 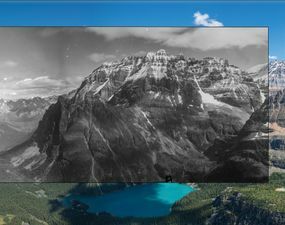 Tracing the footsteps of century-old survey photographers, The Mountain Legacy Project uses contemporary imagery to document critical changes in Canada’s landscape. 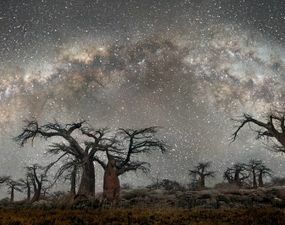 These stunning photos of ancient trees set against all-natural long-exposure backdrops of the Milky Way was inspired by two fascinating scientific studies that connect tree growth with celestial movement and astral cycles. 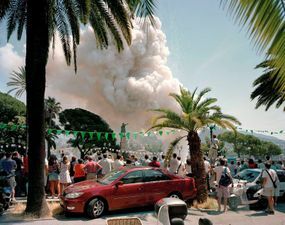 Andrea Botto photographs planned explosions in public spaces, where the spectators and the context become more interesting than the blast itself. The islands in France’s Gironde estuary sometimes appear and disappear, emerging and disappearing with the floods, providing the backdrop for a series that questions our relationship to the earth and time. 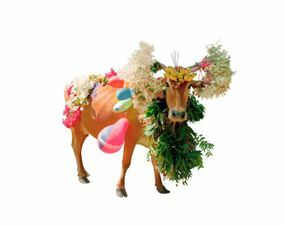 By removing the background and real-life context, these photos of living, decorated cows emphasize Pop Art sensibilities during Hindu traditional festivals celebrating the harvest and bovine sacredness. Each of these unique photograms seems to hold a silent secret, pulling us in deeper with each passing moment. Discover the story of their creation in this fascinating interview.